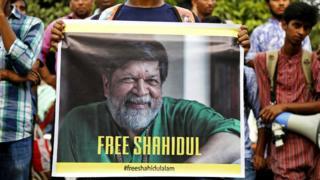 Renowned Bangladeshi photographer and activist Shahidul Alam has been jailed in the wake of mass demonstrations by young people earlier this month. He took his camera into the streets to document the fury of thousands of students fed up with unsafe roads after two children were killed by a speeding bus. His partner, Rahnuma Ahmed, wrote that he was "inspired by the youth of our country, who have refused to be cowed down by state terror". But Mr Alam, who criticised the government's handling of the demonstrations on international television and Facebook, has been accused of spreading false information. He is being investigated under controversial internet laws. Human rights monitors say the protests have been followed by a wave of detentions targeting dozens of critics. Mr Alam, 63, says he has been beaten in custody, and international human rights organisations have joined a roster of global artists and writers, including hundreds of photographers, in demanding his release. 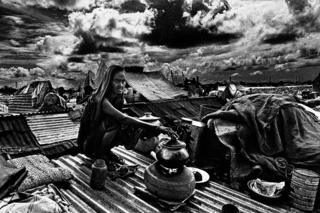 For decades he has used his camera to chronicle events in Bangladesh and his pictures have been published widely in leading newspapers and magazines. As the founder of the Drik picture agency and a respected photography school, Shahidul Alam is also credited with nurturing a generation of Bangladeshi photographers. 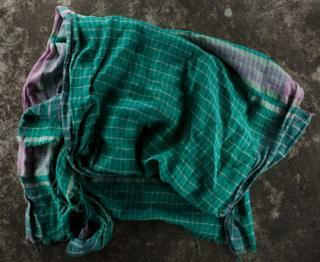 In the late 1980s, Bangladesh entered a period of turmoil. It was roiled by mass demonstrations, strikes and unrest which eventually led to a political transition and end to the authoritarian rule of General Hussain Muhammad Ershad in late 1990. Shahidul Alam recorded the dramatic events in his pictures, from protests and violent clashes with the police to the country's first free and fair election in 1991. One of the most well-known activists of the struggle against President Ershad was Noor Hossain. He was killed by the police during one of the 1987 protests and is remembered as a martyr of the pro-democracy struggle. 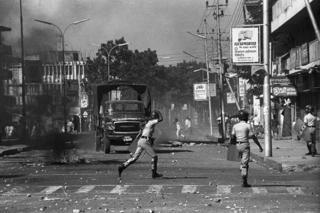 In late November 1987, soon after Mr Hossain's death and ahead of a planned 72-hour strike, the government declared a state of emergency. 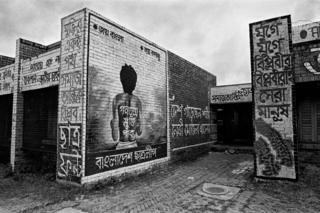 Image caption This 1990 picture shows a mural of Noor Hossain on a campus wall in Dhaka. The writing on his back reads: '"Let Democracy Live"
But in 1990, the opposition groups united and began a concerted push to oust Gen Ershad. On the night of 4 December 1990, the president finally agreed to step down. The headline in the New York Times was "Revolution brings Bangladesh hope". 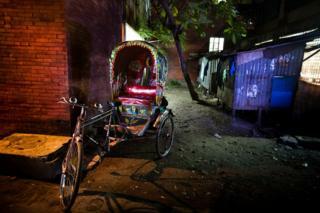 Shahidul Alam captured jubilant scenes in the streets of Dhaka, the capital. 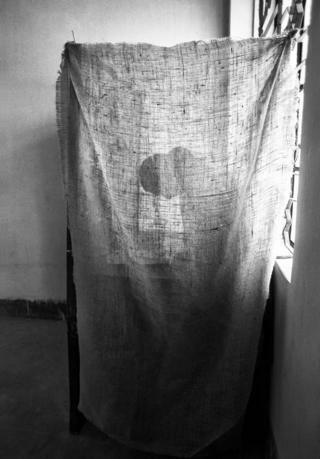 In 1991, the country saw its first free election and millions went to polling stations to cast their votes. 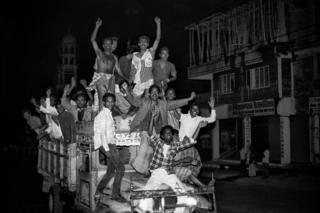 The photographer was there to mark a pivotal turning point in Bangladeshi history. 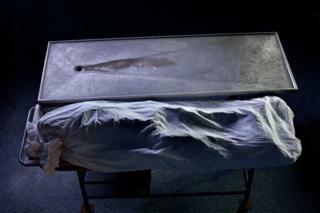 But Mr Alam was not only a chronicler of Bangladesh's troubled politics. He also reported on the more recent and highly controversial crackdown on crime by the country's special police force, the Rapid Action Battalion. Activists in the country, as well as Amnesty International and Human Rights Watch, have condemned alleged extrajudicial killings, demanding investigations into the hundreds of deaths attributed to the force. When the photographer put together his moving exhibition, Crossfire, about the controversial deaths, police showed up and shut down his gallery. The censorship led in turn to protests and an outburst of public support for Mr Alam. The photos didn't so much focus on documenting the actual killings but showed the settings and context of where the victims were murdered or found. 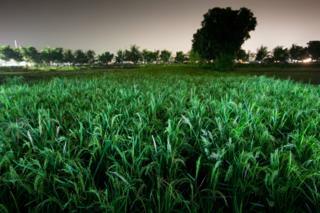 Another focus of Mr Alam's photography has been the country's many natural disasters. Floods and cyclones have repeatedly wreaked havoc on cities, crops and livelihoods, killing many and displacing many more. 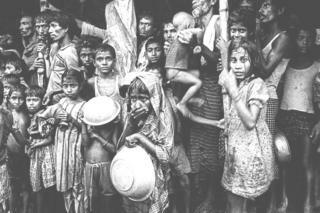 In 1988, Bangladesh was hit by one of the worst floods in its history. A devastating cyclone then made the flooding even worse. 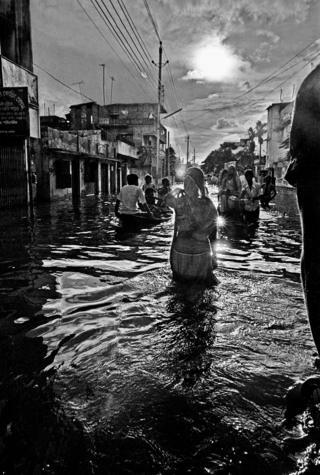 Around 60% of the country was flooded, including large parts of the capital Dhaka. Tens of millions were made homeless.